Musical arrangements and transcriptions by Massimiliano Peretti. Recorded at Chiara Recordings Studio (Torino) by Claudio Chiara (july, 2016). Cover drawing by Camilla Baralis. Produced by Massimiliano Peretti for Musica Mancina. Special thanks to Najda Sartori, Alessio Peretti e Lillo for all. There are two ways to travel: physical and mental. With the former we make a series of arrangements (pack our suitcases, book a plane or a train ticket, reserve the hotel, etc...) things that in a short time will bring us to the desired destination. With the latter, if supported by a vivid imagination, we can do it even lying on our couch, with all the advantages this entails. As a matter of fact, these two ways, apparently so dissimilar, both end up being stimulating and effective for what concerns creativity. So, one again, the travel, be it physical or mental, proves decisive for us who never stand still (as least mentally) but who are endlessly moving. 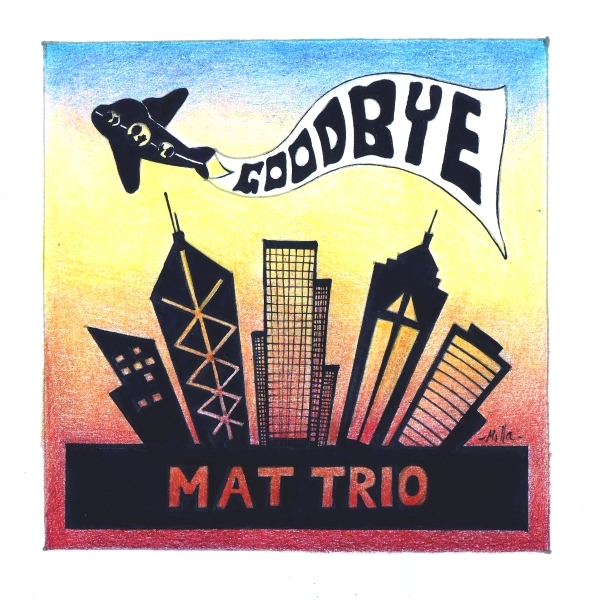 The anachronisms that distinguish us, this time around, are very few, however in a Mat Trio CD everything is possible-as always. Therefore, once again, we have had fun in lovingly mixing everything that came to our minds: rock, jazz, total improvisation, ancient music, contemporary music, film music, humour. We put everything into a big cauldron, fearlessly, savouring, instead, a freedom and a dignity that are seldom allowed in daily life. I'd stop here, because I think that there is no point in telling too much about the content of a CD. Simply because it is not important. What really does matter, you'll soon find out by yourself, by listening to it with all the imagination you're capable of. And if sometimes it will look as if you're not finding anything, remember that maybe you're not looking in the right direction.